L.O.L. Surprise! #OOTD (Outfit of The Day), Only $29.99 on Amazon! 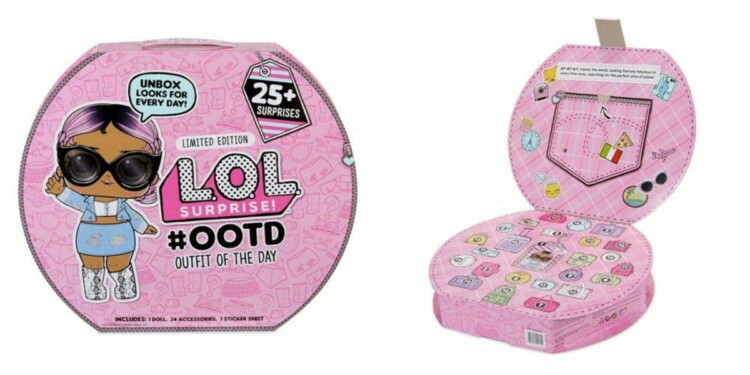 Hurry to Amazon and score the popular L.O.L. Surprise! #OOTD (Outfit of The Day) toy! Right now, it’s available to order for just $29.99, normally $42.10. This toy comes with multiple surprise fashions for every day of the month. Free shipping is available with Amazon Prime. Not a Prime member? Sign up for a free trial now. Otherwise, shipping is free on orders of $25.00 or more. up next: Score a Free Swiffer Dusters Heavy Duty Starter Kit ($11.97 Value)! The post L.O.L. Surprise! #OOTD (Outfit of The Day), Only $29.99 on Amazon! appeared first on The Krazy Coupon Lady.